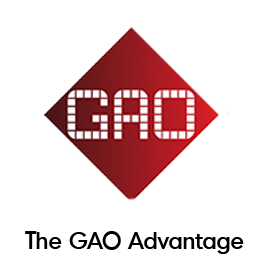 Access Control software developed by GAO RFID to ensure safety and security in every building. An all-in-one interface that allows to you administer and control multiple tenants in one building. Easy to administer and control access to common areas such as swimming pools, fitness centres, party rooms, and lounge areas. Software integrates with our RFID Parking Control solution to provide access all on one card. 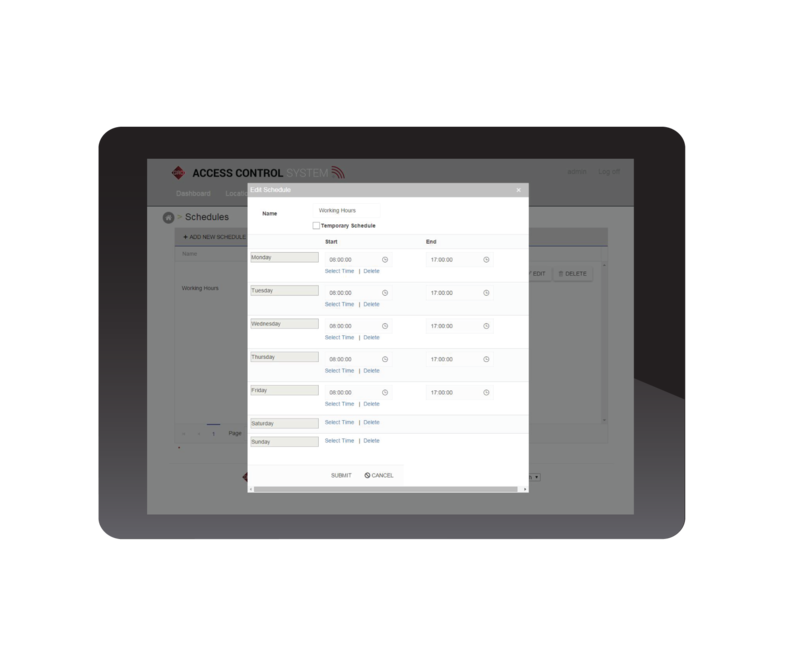 Our Access Control Software lets you manage user access to specific environments. Whether it is personnel in an office or residents of a condominium, the software provides you with the features and ability to manage the access needs of your users to ensure security and privacy. 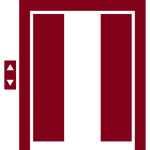 Once you login to our software, you are greeted with a user-friendly dashboard powered by our proprietary Auto-ID Engine that's designed to give you 100% control over how individuals access your building. 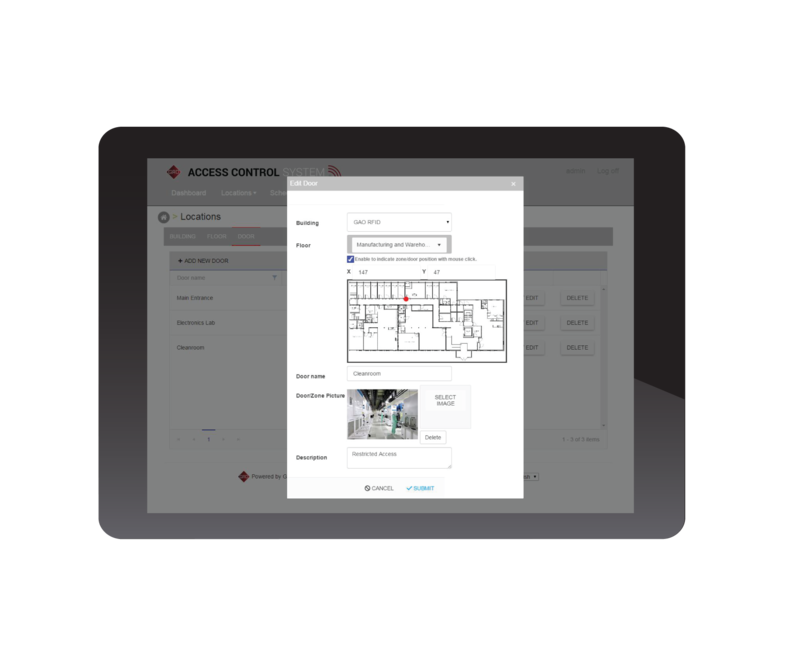 Have the flexibility to identify each of your access zones and organize them as location groups. 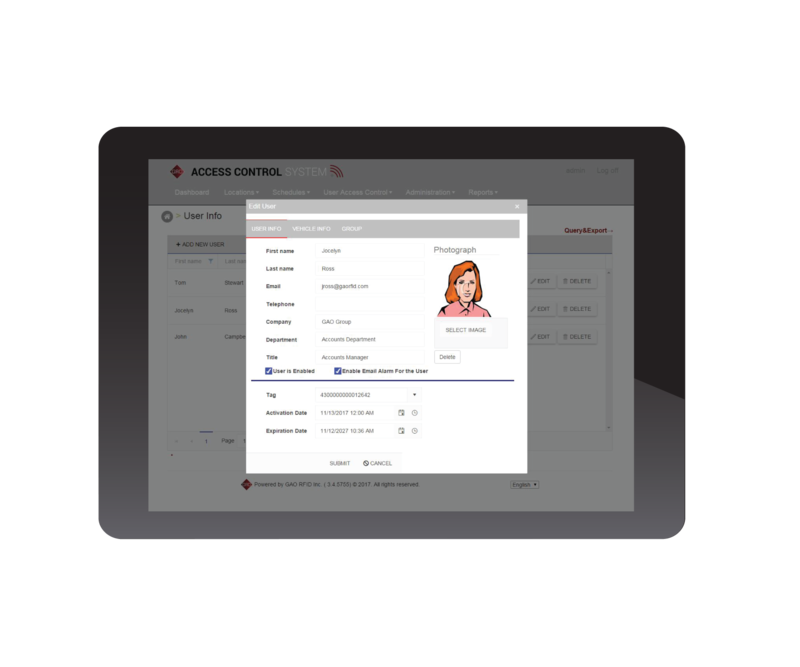 This gives you the ability to tailor access by matching each zone with your users’ access levels. Next, allocate RFID access tags to each person (tenant, employee or visitor) and organize them into user groups. Each group can then can be configured to have access to only the entry points that you define, such as private meeting rooms or public swimming pool areas. Assign access tags and enter detailed user info. 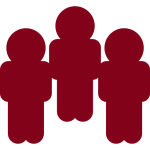 Create different user groups for different levels of access. 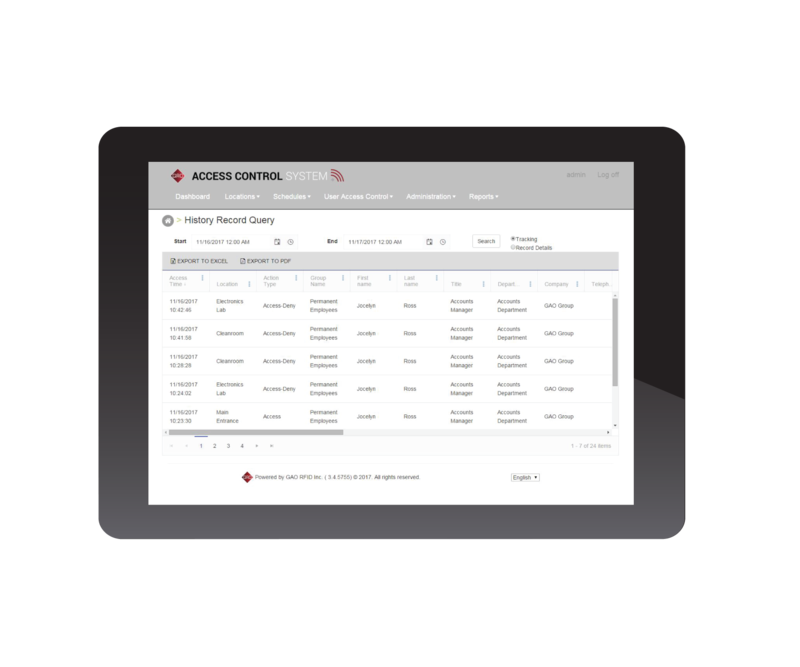 Control when user groups can access specific access zones and create multiple schedules to refine the access times to each zone for complete control. Set access schedules based on user group and access zone. Define open/close times to restrict access. Define holidays to limit access on special days. You now have access to robust reports that provide important user access data filtered by user type, access zone, status, day, and more! View access reports by location. View access reports by date. 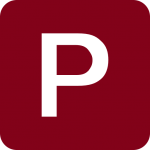 Lookup access activity by user ID. Run a quick report on In/Out status of users. Gain access to robust reports that provide critical user access data filtered by location, date, user type and more! 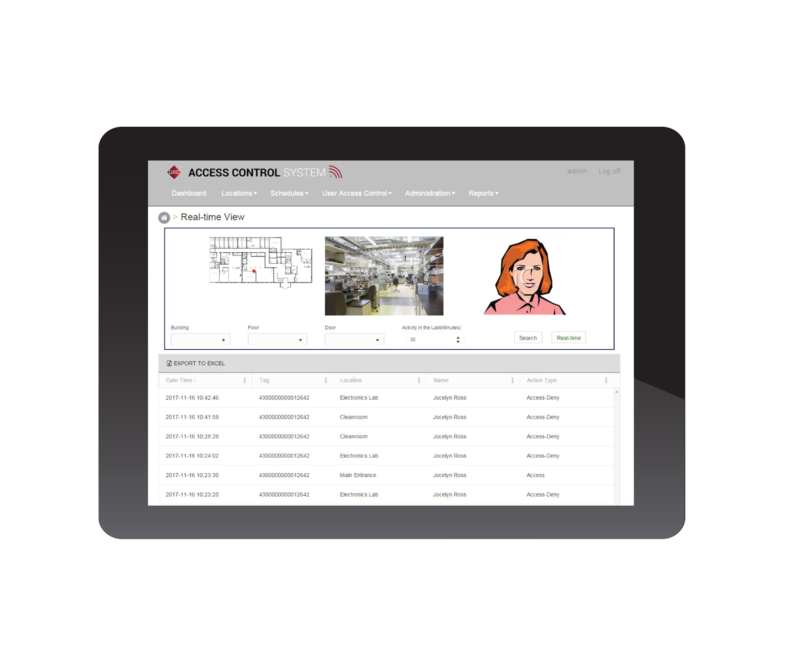 Interested to see how our Access Control software enables personnel tracking for your organization? Our Expert will walk you through a demo!